Tisdagar 13.00–15.00, rum B600, Socialantropologiska institutionen, Stockholms universitet. Ytterligare seminarier kan komma att läggas till. Seminarierna arrangeras av CEIFO och Migrationsklustret vid Socialantropologiska institutionen. This half-day workshop aims to focus on the ethnography on time, waiting, and temporalities in relation to irregular migrations and asylum. The workshop will have a limited number of participants working on temporal aspect of migration. Migration is generally perceived and studied as a spatial process and the temporal aspect of migration has received much less attention. Asylum seekers and undocumented migrants are constantly waiting for decisions and assistance coming from others: the state, the church, NGOs, legal firms, labour unions or individuals such as employers. The dependence on others’ decisions leads to a patronizing relationship, which means that the migrant has to surrender to the authority of others. Lack of information on how long they have to wait or what exactly they have to do to get their documents makes migrants’ lives unpredictable and results in uncertainty. This is most palpable in various forms of camps, where migrants can be kept with no legal time limit. This half-day workshop aims to focus on the ethnography on time, waiting, and temporalities in relation to irregular migrations and asylum. 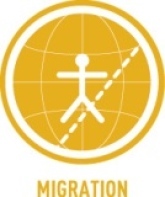 The workshop is scheduled to take place on September 16, 2014, at Stockholm University and will have a limited number of participants working on temporal aspect of migration. I'm Dublin by David Aronowitsch et al (2014). Seats are limited, therefore please send an email to lina.lorentz@socant.su.se no later than September 9 if you plan to attend the workshop. In the process of postsocialist transformations, many people were displaced either through setting on the road or as a result of borders moving around them. Yet, diaspora is not necessarily a term that is embraced by the variously displaced postsocialist subjects to make sense of their lives. Rather, it is most often used to analyse the displaced or to govern them. In other words, diaspora has been taken up to do particular kinds of epistemological and political work in a specific historical moment. In this talk, drawing on ethnographic engagements with Latvian labour migration and diaspora politics, I analyse the emergence of diaspora as a site of government in postsocialist Latvia. I trace how the Latvian state attempts to generate knowledge about its mobile subjects, organizes them into “affiliated diasporic subjects” and “non-affiliated individuals,” as well as tries to make diasporic subjects through affective politics. I argue that the Latvian state re-territorializes sovereign power to legitimate the Latvian state as a “national state,” and ask whether and how the “non-affiliated individuals” can be thought of as political subjects insofar as they escape the sovereign power of the national state even as they remain citizens. Flyktingar, invandrare och den svenska välfärdsstaten 1930-2000. Presentation av en ny antologi. Förra året utkom antologin Reaching a state of hope. Refugees, immigrants and the Swedish welfare state, 1930-2000 (Nordic Academic Press). Redaktörerna för boken Mikael Byström och Pär Frohnert presenterar boken. I antologin görs för första gången ett försök att för en engelskspråkig akademisk publik presentera en större översikt av svensk historisk forskning kring flykting- och arbetskraftsinvandring. Mikael Byström, docent och universitetslektor, Historiska institutionen, Uppsala universitet. Har publicerat flertal artiklar och två böcker om svensk flyktingpolitik i ett historiskt perspektiv. Hans senaste monografi är Utmaningen. Den svenska välfärdsstatens möte med flyktingar i andra världskrigets tid (2012). Pär Frohnert, docent och universitetslektor, Historiska institutionen, Stockholms universitet. Forskar f n kring svenska flyktinghjälporganisationer under 1930- och 40-talen. Har medverkat i projektet Förintelsen i europeisk historiekultur med inriktning mot press och skolböcker i Västtyskland/Tyskland. Textunderlag skickas ut på begäran (kontakta lina.lorentz@socant.su.se). The recent events in Gaza have evoked quite a lot of Swedish public indignation. But beyond the case of Palestine, Sweden seems to be silent on settler colonialism. Sweden’s own contribution to the white settling of North America, as immortalized in Moberg’s Utvandrarna, is typically seen as a case of large-scale emigration and not as a part of Sweden’s colonial history. As the Australian scholar Patrick Wolfe has put it, settler colonialism is a structure, not an event. Taking this as one point of departure, I investigate the silence on the settler-colonial heritage, but also the silence on how contemporary Sweden is woven into the structure of settler colonialism. To map out this silence, recent work on settler colonialism – an expanding research field, perhaps especially within the settler colonies themselves – can fruitfully be employed. The perspective of settler colonialism challenges current notions and understandings – concerning such things as colonialism, post-colonialism, and decolonization; or transnationalism, flows, and diaspora – in sometimes uncomfortable ways: can the “good guys”, or the common people, really be colonizers? This is work in progress. The seminar invites critical questions as well as suggestions on issues such as the methodology for studying silence and suitable areas for further empirical research, but also on how the settler colonial hegemony might be theorized, questioned and de-normalized. Ingemar Grandin is a docent in Culture and Society, Linköping University. Much of his research is based on fieldwork in the Kathmandu Valley, Nepal, but he has also engaged questions of cultural flows, transnationalism, ethnicity, and diaspora in a wider perspective. In today’s globalized world human practices of caring, parenting and generation are increasingly taking place in transnational social spaces. Migrants engage in parenting despite prolonged periods abroad while sending economic remittances to family members and even close friends. In addition they are often expected to contribute to local community development through financial investments or in other ways taking responsibility for the community’s welfare and development. When retirees or the independently wealthy from developed countries settle permanently or seasonally abroad, an inverse care deficit or a new economy of care emerges to cater to those in need of care and medical support. Through Information and Communications Technology (ICT) and faster economic remittance systems, social networks and families have moved into a transnational social space where they also become reorganized as social units. The first panel will mainly focus on the changing roles and practices in transnational families, for example, how parenthood, childhood and intimacy are shaped by transnationalization. The second panel will focus mainly on care and other kind of social services in situations when older people migrate or approach old age away from conventional services and practices of caring. Both panels will have an interest in the way diasporas are assuming responsibility by developing collective practices or services for migrants. Finally, the third panel will discuss the use of ICT practices in the context of responsibility in transnational social spaces. How do people use new technologies when practicing their social responsibilities and what impact do these have on people’s everyday life? The Stockholm Anthropology Roundtable is devoted to short interventions by a dozen presenters who will give a short talk or statement which links to the panel’s research topic. In conversation with the other presentations the researcher’s statement should serve as an input for intense and fruitful discussions with the audience with the expressed intention of expanding the knowledge of the field while inspiring future research. Note that due to space restrictions, there is limited seating space available. Therefore seats are available on a first come, first served basis. Unfortunately all seats have already been filled. The last decades, the use of the term diaspora has basically exploded both among scholars and the general public. Diasporas seem to be everywhere and of very diverse kinds. Rogers Brubaker (2005) has warned that this inflation in the use of diaspora can make it useless as an analytical concept. Brubaker also alerts for the risks of essentializing diasporas as bounded, homogeneous units and of estimations of members in specific diasporas, which avoid the complexities of identity politics and of people’s diverse relations to place. Belonging to a diaspora shouldn’t merely be about counting ancestry. Brubaker’s suggestion is that research should rather focus on diaspora as a category of practice that is used to make claims, to make projects and mobilize energies. From that point of departure, I want to discuss how different diasporic practices as well as different migration tracks among Palestinians in Denmark and Sweden create very diverse views of ‘those back home’, namely Palestinians who have not migrated, but who still live either in the West Bank or inside Israel. Those perceptions of Palestinians ‘back home’ range from romantic views of them as resisting and politicized subjects to more critical comments about conservatism and demanding social relations. Some of my interlocutors even said that they loved the country but not its people. Nina Gren holds a PhD in Social Anthropology from the University of Gothenburg. Her doctoral thesis from 2009 builds on a one-year ethnographic fieldwork in a Palestinian refugee camp during the second intifada. In short, the study dealt with the many ways that the camp inhabitants tried to maintain continuity, morality and a normal order despite repeated emergencies. A book based on this research will be published in 2015 with the American University Press in Cairo. Nina has also done research about Danes and Swedes with a Palestinian background and their diasporic practices, while being a post doc at the University of Copenhagen. In addition, she has carried out fieldwork in UN-run schools for Palestinian refugee children, focusing on processes of gendered identity formations. Nina is currently an affiliated researcher at the Centre of Middle Eastern Studies, Lund University and works as an external lecturer at the Department of Anthropology, University of Copenhagen. How do we speak, think, and write of migration when it presents itself ethnographically not only as a national/transnational movement of people, but as a constitutive component of life itself – an entity through which kinship relations are nurtured, the passing of time is measured, gendered subjectivities emerge and are recognised? In this paper, I draw on my on-going research in emigrant areas of North Africa, swept since the 1970s by impressive transnational movement towards Europe, and trace how migration has come to permeate the places where it originates, coming to bear on the very principles, categories, imaginings and practices around which local life unfolds. Tracing how migration appears, at once, at deeply different scales of social and intimate life – from the minutiae of everyday conjugal relations, to the imagination of worthy futures, to notions of humanity and its loss – I reflect on the ways in which both proportion and texture of the somewhat dry socio-economic concept of “migration” come to be radically redrawn when observed in the areas from which migrants originate – and, ideally for many of them, where they will one day return. My research examines black British feminism as a set of ideologies, discourses, and practices that might be termed diasporic and seeks to theorize how ‘blackness’, the strategic hallmark of black British feminism, operates as a contingent sign under different social and political circumstances. Inspired by ethnographic material collected during two years of fieldwork in London, this paper examines ‘blackness’ as a social formation that is not solely or even primarily about relations of similarity, but more often and quite profoundly about the dynamics of difference. Drawing from a series of ethnographic exchanges that occurred before, during, and after an event that was billed as ‘black feminist’, I ask how diaspora space troubles articulations of what it means to be ‘black’ and illuminates gaps in the translation of ‘blackness’ in and between diasporic spaces. Nydia A. Swaby is a PhD candidate at the Centre for Gender Studies and a Marie Curie ITN - CoHaB, Diasporic Constructions of Home and Belonging early stage research fellow at the Centre for Migration and Diaspora Studies at SOAS, University of London.